The title says it all, really sad. After our 3 week vacation in Greece, we came home to find that 2 of our hives had been completely killed by carpenter ants. Even though this was a sad sight, we have hope. Our third hive is full, very full, and we actually think that some of the bees evacuated and sought refuge in the remaining hive. 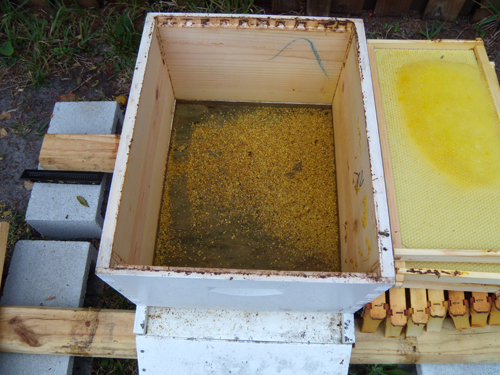 So you are probably asking how will we replace the 2 hives we lost? 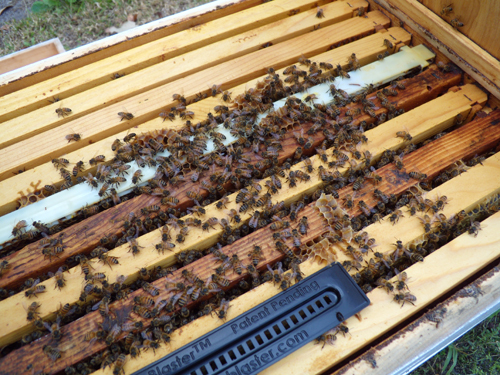 Not to worry, we are going to split the hive we have now at the end of January/early February and create new hives that will hopefully flourish during the Spring and Summer months. 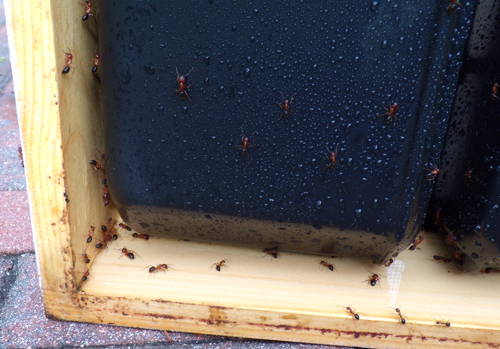 We learned a lesson and are in the process of creating an ant trap to prevent them from getting to the hives again. I’ll be sure to post that if it is successful.